The holiday season usually brings with it additional expenses. In fact, if you’re not careful, you may discover that you’ve overextended yourself. Perhaps you’re wondering what would happen if you skipped a mortgage payment this month. While we don’t recommend missing a mortgage payment, it isn’t something that you can’t recover from. But you need to be aware of the consequences and the steps you should take to avoid penalties. First of all, most mortgages have some type of grace period. This means that even if you are late with your payment, if it falls within the grace period you will not incur any late fees. Most loans have a 15-day grace period. If you’re unsure what your grace period is, check with your lender. If you pay your mortgage after the grace period, you will likely incur late fees. These fees are based on the agreement you have with your lender and are calculated as a percentage of your payment – typically between three and six percent. Be aware that even if you don’t include the late fee in your payment, it will add up until that fee is paid. It’s important to pay off those late fees as soon as possible. If you miss a mortgage payment, it can affect your credit score. Mortgage lenders will usually report a late payment after it becomes 30 to 60 days past due. Just one late payment can have a big impact on your score. In fact, one late mortgage payment will negatively impact your score more than most other late payments, such as a car loan or credit card. If you have an excellent credit score that’s around 780, your score could drop by as much as 100 points for that late payment. If your score is lower, you may see it drop 60 – 80 points. Remember – that late payment stays on your credit report for seven years. One of the biggest worries for most homeowners who miss a mortgage payment is the fear of foreclosure. Although this is a concern you should take seriously, it’s unlikely that your lender will foreclose that quickly. 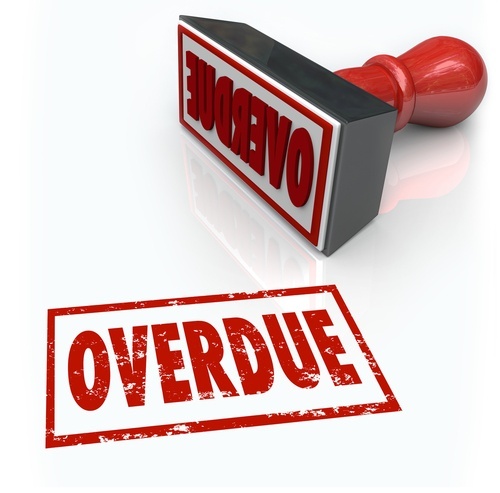 After a period of three to six months of non-payment, your lender will send you a Notice of Default. This puts you on notice that you could be facing foreclosure if your loan isn’t brought current. If you’re concerned that you’re going to miss a mortgage payment, then it’s best to be proactive. Contact your lender and explain your situation. You may qualify for a forbearance, which means you get a temporary break in your payments. The terms of the forbearance will vary from lender to lender, but they usually include either a suspension of or a reduction in your payments. During forbearance, your lender will not begin foreclosure proceedings. Once the forbearance period ends, you agree to make your payments in full, including catching up with the past-due amounts. Make sure you get your agreement with your lender in writing, and pay attention to any additional fees that will be charged as a result.